Planning to travel to Europe but struggling to come up with itinerary ideas? I am well aware of that feeling. Often, when you haven’t already travelled to a continent, it can be overwhelming to start planning from scratch. If you need a step by step Europe trip planner, please head here to check out my Europe Trip Planner book. 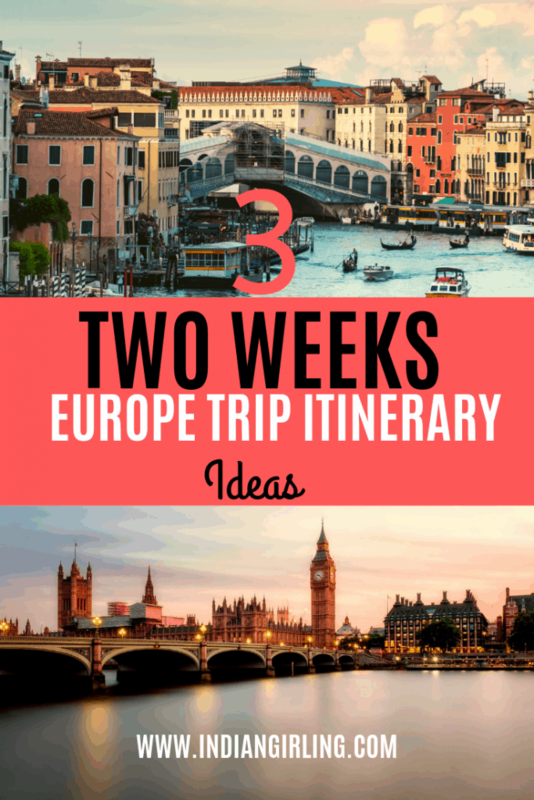 In this post, I will discuss three sample two week Europe itinerary ideas, based on my personal experience. This itinerary starts in Berlin and takes you across some of the best sights in western Europe and eastern Europe. You can easily add or drop a few cities, although it’s already a heavily packed Europe itinerary for two weeks. Your first stop would be Berlin, heading on over to Amsterdam and then to Paris. 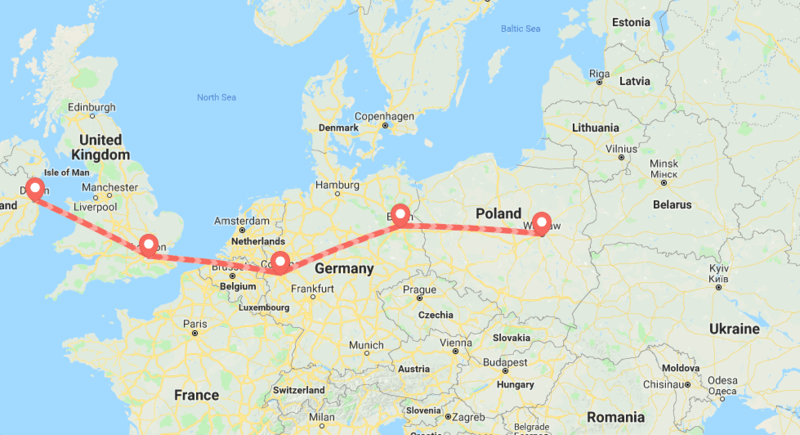 After this this route will take you to two smaller, but incredibly beautiful and diverse towns, namely Strasbourg and Nuremberg. Strasbourg combines German and French architecture, and is one of the most unique places you can expect to see in Europe. Nuremberg, is a medieval city with it’s own unique twist and role in history. If there is one city in the south of Germany you should stop by, it’s this one! At the end of this itinerary, you will fly out of Prague. A truly stunning city with gothic architecture, this city is a great way to see and understand a bit of Eastern European culture. 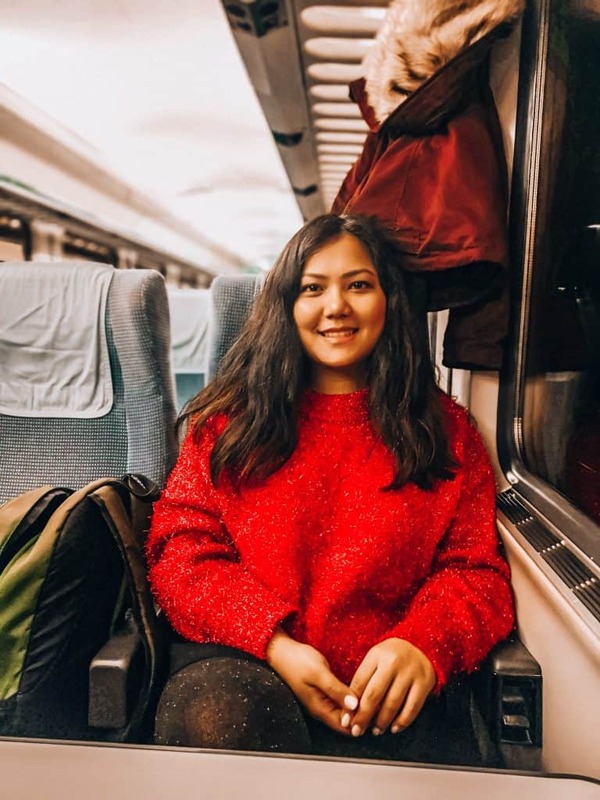 It’s also the cheapest city on this route, and depending on how much time you have left you can choose to retain it or skip it from your itinerary. This two week itinerary is best suited for travelers who would like to see the majestic Alps, see the rolling Heidi meadows in Switzerland and at the same time get in a huge chunk of history and architecture. You will start your journey in Munich, where you will get to know the beautiful city which also is the capital of Bayern. From there you will head over to Lucerne and Interlaken, exploring two of the most stunning places in Switzerland. The train rides in itself are worth heading there for! From there, you will cross over to Italy, starting with Venice, one of the most visited and ridiculously beautiful cities in the world. I have never been to a place which made me feel anything like how Venice did. It’s almost like being in a painting, but even better. It is also one of the most expensive cities in Europe, so you may want to factor that in when planning this route. After Venice, you’ll stop by at Florence and Rome, which are destinations that would need a lot longer than all the cities that you already covered on the trip. There is so much to see and do, especially in Rome, that allocating anything less than 4 days is not doing justice to this city. You can also plan a day trip to the Vatican, if you’re into that. You will start your journey by arriving in Dublin, Ireland. You can spend two days in Dublin exploring the Guiness storehouse, go for a drive or hike across the Wild Atlantic Way and explore the Stonehenge. The next stop would be London, where you can see top sights like the Buckingham Palace, the Tower Bridge, London Eye and explore the vibrant shopping and nightlife. Next, you will head to Cologne, preferably by train, including a quick stop in Belgium (if time permits). If you do stop by in Belgium, make sure to visit Bruges. It may just be one of the most beautiful small towns in Europe, I have ever seen. The waffles and the Belgian fries definitely don’t hurt either. In Cologne, you can see the famous Cathedral and if you are in time for a carnival, be sure not to miss it! Next, head to Berlin and enjoy one of the most historic, dynamic and unique cities in Germany. You will end your trip in Warsaw, which is a city that is very close to my heart. The old town is a beauty, and if you have time to spare, a short trip to Krakow and Auschwitz can also be included. Both these cities also have brilliant pubs and clubs, and alcohol is as cheap as it gets. If you’re traveling with family, do check out these city breaks in Europe. The best and most convenient platform to look for hostels in Europe, if you can’t find it on Hostel World, you most likely won’t find it elsewhere. I also love that you can book most hostels with a very nominal fee to hold you reservation, although cancellation policies depend entirely on the hostel. Generator Hostels: London, Berlin, Vienna, Amsterdam, Barcelona, Copenhagen, Dublin, Hamburg, Madrid, Paris, Rome, Stockholm. Venice. Christopher’s Inn: Barcelona, Berlin, Amsterdam, Bruges, Copenhagen, Interlaken, Prague, London, Edinburg. A platform I very often use to find hotels, guest apartments, luxury hotels, et al. Booking is the largest online travel aggregator and one where you can almost always start your search. The hotels listed here are generally listed at the best prices and offers and many of them can be booked at a 100% refundable cost or free cancellation. Ibis: With over 1000 hotels in 28 countries, you can expect a comfortable stay with free buffet breakfast and wifi. Holiday Inn: Famous globally, you can stay at these family friendly hotels in over 33 European countries. Novotel: Another popular and standard chain of hotels present in over 33 countries, Novotel makes for a good stay, especially so for corporate travellers. Mercure: With prices averaging over $200 a night, this is not a budget hotel chain, but nevertheless a very reliable on, present in 24 European countries. Citizen M: A popular design driven affordable luxury chain, present in big cities across Europe, is also quite a stunning and comfortable property to stay at. You can find these hotels in Amsterdam, Glasgow, London, Paris, Rotterdam, Copenhagen and Zurich. Another popular option to explore a region, is through the shared rentals platform called airbnb. If you book far ahead, you can access beautiful private apartments in city centres for a cheaper price than a hotel. Airbnb also offers shared apartments, where you are expected to share the space with other guests or the local hosts. Choose the experience based on how much privacy you need. Search for hosts who have at least 10 good reviews. You don’t want to go to a brand new place to a new host or apartment that has no reviews. Take risks in places you are already familiar to. This is also highly recommended as a safety tip for solo travelers. Communicate in advance with the host to tell them your expected time of arrival and some personal background. You should also arrange a fixed time to exchange keys and an address (if different from the property), as you may not have accces to a working phone in the first few hours of your arrival. Leave the apartment as you find it, the cleaner, the better. The way airbnb works is that both hosts and guests are vetted through mutual reviews. In order to be accepted for a booking, you also need to maintain an excellent profile. Lastly, you can use this first time travel credit of $40 when you book your first Airbnb stay. Another popular way for solo travellers to travel, practially for free is to use couchsurfing. As the name suggests, you are offered a couch or an extra bed by a local host for free. It is a network to meet other like minded locals and save money while travelling. For solo travelers, I would advise to carefully review and vet out the hosts you do stay with. We like your blog! You have really good content!